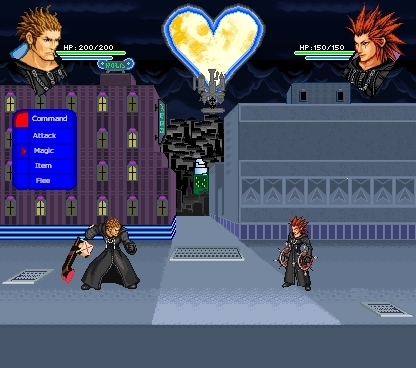 RPG Screens: Lexaeus vs. Axel. An RPG battle screen made da me :) Personally, I like this better than my Sora vs nube, nuvola one.. Wallpaper and background images in the Kingdom Hearts club. An RPG battle screen made da me :) Personally, I like this better than my Sora vs nube, nuvola one. I can see this happening. Like, I dunno, Aeleus and Even (Lexaeus and Vexen's Somebodies) being old friends, and Lex being enraged over Vexen's murder and seeking revenge, maybeeee? ... Is it wierd that I think Lex is so much more frickin' hot than Axel?